Click here for audio of Episode 4. Today we meet a Bavarian Count who was born in Massachusetts. The University of Houston's College of Engineering presents this series about the machines that make our civilization run, and the people whose ingenuity created them. Benjamin Thompson was raised in pre-Revolutionary New England. He wrestled out a homemade education in Boston and, when he was only 18, went off to Rumford, Massachusetts, as the new schoolmaster. He soon married a wealthy 31-year-old widow, and he took up spying on the colonies for the British. He deserted his wife and a new daughter to flee to England when he was found out. Thompson devoted the next several years to shameless social climbing that eventually put him in a high-ranking position with the Bavarian court in Munich. It was here that his life took on a different coloration. He boldly combined technical insight with social reforms that were years before their time. He instituted public works, military reforms, and poorhouses, and he equipped them with radical kitchen, heating, and lighting systems. 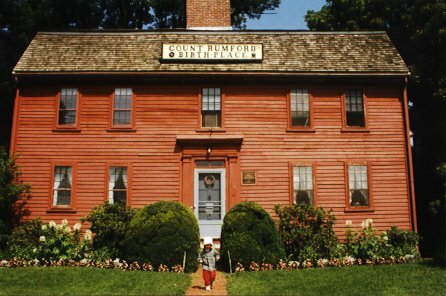 In 1792 he was made a Count of the Holy Roman Empire, and he took the name of his old town of Rumford. Our main interest in Count Rumford arises out of experiments he made five years later. His interest in field artillery led him to study both the boring and firing of cannons. Out of this work he saw that mechanical power could be converted to heating -- that there was a direct equivalence between thermal energy and mechanical work. People at the time thought that heat energy was a fluid -- a kind of ether -- called caloric, that flowed in and out of materials. Caloric couldn't be created by mechanical work, or by any other means. Of course, Rumford's radical discovery flew in the teeth of the caloric theory. His story eventually took a last ironic turn. Caloric had been given its name by the famous French chemist Lavoisier, who was beheaded during the French Revolution. 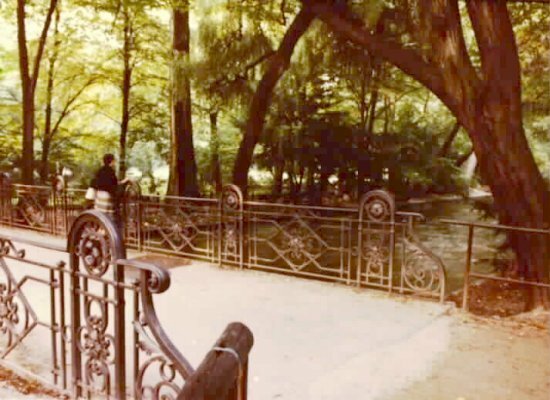 When Rumford returned to England and France, he became involved in a four-year affair with Lavoisier's widow that ended in a disastrous and short-lived marriage. Before the marriage Rumford crowed: "I think I shall live to drive caloric off the stage as the late Lavoisier drove away the previous theory. What a singular destiny for Madame Lavoisier!" He did, indeed, drive caloric off the stage, but I suppose it's no surprise that the marriage failed. Brown, S.C., Benjamin Thompson, Count Rumford . Cambridge, MA: MIT Press, 1979. This program has been rewritten as Episode 1165.